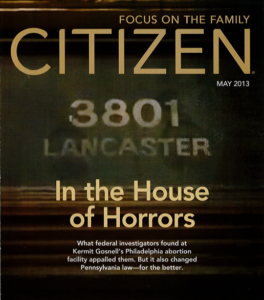 PA Family Institute played a critical role in turning the tide for Pennsylvania to pass a law and fix some of the problems uncovered with Kermit Gosnell’s House of Horrors. The abortion industry did everything they could to stop it. 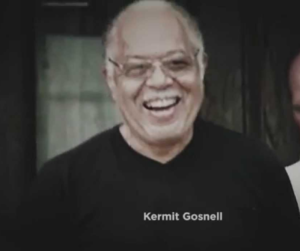 America’s biggest serial killer – Kermit Gosnell – not only showed the world how horrific abortion can be but also how extreme abortion businesses like Planned Parenthood truly are. 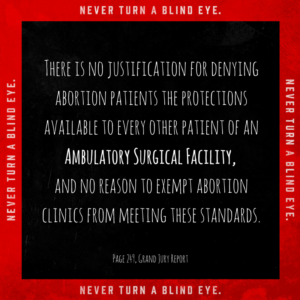 The abortion industry – led by the largest abortion business of Planned Parenthood – attempt to stop any law that remotely relates to a limit on abortion, no matter how reasonable and needed that law may be. A prime example is what happened with Kermit Gosnell. Gosnell, the former West Philadelphia “doctor” that killed countless babies and endangered women, was convicted of three counts of first-degree murder for the death of three babies that were born alive and killed. His crimes, once they finally were uncovered, sparked Pennsylvania to eventually pass a law that hopefully will stop another Gosnell “House of Horrors” from happening again. The law now classifies abortion clinics as ambulatory surgical facilities – something the grand jury recommended. This classification makes all surgical abortion centers in Pennsylvania follow the same rules that every other surgical facility follows. These same health and safety regulations is what Planned Parenthood called “dangerous,” “burdensome” and “unnecessary” as they fought against its passage. Michael Geer knows the story well. A veteran family advocate, he has been president of the Pennsylvania Family Institute (PFI)-—the state’s family-policy council associated with Focus on the Family-—since 1989. The trouble, Geer said, started when pro-life Gov. Bob Casey, a Democrat, was succeeded by two abortion-rights supporters: Gov. Tom Ridge, a Republican, and Ed Rendell, a Democrat. Between them, they occupied the governor’s mansion for most of the years between 1995 and 2011. Thus, repeated complaints about Gosnell went unanswered. Even when the health department learned that a woman had died at his clinic in 2009, officials refused to investigate. It wasn’t just state officials who looked the other way. The grand jury report says “some pro-choice and women’s health groups learned from Gosnell’s patients of their frightening experiences,” but didn’t contact officials. Then came the raid on Gosnell’s clinic. And then there was no way to turn a blind eye any longer. New Pennsylvania Gov. Tom Corbett fired six officials whose neglect was cited in the grand jury’s report, including the acting secretary of the Department of State. Corbett also ordered regulatory changes, including a requirement that freestanding abortion facilities be inspected annually, as well as being subject to random, unannounced inspections. But since regulations and policies can change with governors, lasting reforms had to be written into laws as well. And that was a tougher task. In the state House, a strong bill sponsored by Rep. Matt Baker, R-Wellsboro, emerged that would hold abortion facilities to the standards of ambulatory surgical centers-—from emergency equipment and hospital admitting privileges to safe room-to-room and building specs and fire-code compliance. It also locked in regular inspections, with at least one surprise visit per year. It set up a complaint hotline, requiring the state to investigate every call. Perhaps most important, the House bill provided that clinics lose their licenses for violating other state laws-—including the 1989 Abortion Control Act (upheld by the U.S. Supreme Court in Planned Parenthood v. Casey), which requires a parent’s consent for a minor’s abortion, 24-hour waiting periods and informed consent. In the Senate, however, a far weaker version emerged-—one that would do little to alter the state’s hands-off approach toward abortion facilities. PFI staffers were looking for a way to turn the tide. Ironically, though, they found that way when they weren’t even looking. Just days before the Senate bill was scheduled for hearings, Geer and Wenger attended a fundraising banquet for the Hope Center, a pro-life pregnancy resource center serving inner-city Philadelphia. There they met an OB-GYN, Dr. Joseph Castelli, who struck them as an ideal witness to the Senate. “The way God worked was just amazing,” Wenger said. “Joe was the perfect person to testify. He had experience dealing with miscarriages, so he knew about dilation and extraction procedures”-—the same ones used in abortions. Castelli, though he was on call all weekend, quickly cleared his schedule for Monday. “I looked at [the House version]and thought it was a great bill,” he told Citizen. “It covers the same kinds of procedures that I do. Nervous or not, Castelli was a major hit. After the testimony, Sen. Bob Mensch, vice chairman of the public health and welfare committee, approached Castelli to follow up. Castelli, for his part, learned something from the experience, too. In the end, the strong abortion-clinic regulations passed and Corbett signed them into law on Dec. 22, 2011. It didn’t take long for their impact to be felt. Just since the law passed, the number of abortion clinics in Pennsylvania has dropped from 22 to 17, with several either being turned down for a license or pre-emptively going out of business. And the requirement for facilities to abide by the rest of the state’s pro-life laws-—at risk of losing their licenses-—means that, from now on, all of them will be under scrutiny. Pennsylvania’s abortion laws are the third-best of all the states, according to Americans United for Life. Those laws include parental consent, informed consent, waiting periods and restrictions on abortion funding or advocacy, among other provisions. All that, said Geer, translates to fewer abortions and more lives saved-—the lives of babies and mothers alike. “We work and pray to end abortions in Pennsylvania and America,” he said. “In the meantime, we’re working to save every life we can-—and to hasten the day when all human life is protected and valued. The Gosnell Movie is now in select theaters. For details, visit GosnellMovie.com. Once you see the movie, see the documentary that interviews the real people involved – including Gosnell. To watch the documentary and for more information, visit 3801Lancaster.com.